East coast from Whangarei north to Kaitaia, Incl Karikari/Tokerau, Doubtless Bay, Mangonui, and Bay of Islands. I charge an actual ‘costs-covered’ base rate to cover fuel. Eg Paihia $15, Russell $50(incl. Ferry), Coopers Beach/Taipa $25, Whangarei Central $40. With a successful recovery, I work on a ''Reward Basis''. That is, what you think my service was worth to you, or can afford. No find, you only pay the travel. I'm able to perform shallow water searches - Up to nostril depth(!) - Can work in wind, rain or tropical cyclone as long as safety isn't compromised. If I am unable to commit to the search, I will endeavour to find a colleague who can help. Land and shallow water, gardens, compost heaps... Rings, tools, keys, survey marks…Almost anything containing metal. 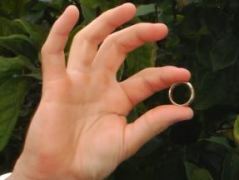 Metal detecting is prohibited on Historic Reserves, although permission is usually granted on a case-by-case basis. If the item is lost on Private Property, please secure permission from the landowner for access. In the event the item is not located, I recommend entering a Lost Property report with Police. I will also add your details to my ‘Little Black Book” in case it turns up on a later hunt... as has happened when a ring surfaced after 5 years in the sand. That ring is now back with its owner, in Chile. Please note, I do not locate buried power cables, water lines or other utilities. Experienced in search and recovery with 34 years of metal detecting under my belt. Trained in mantracking and clue awareness with Search and Rescue (Two rings have been found before I even switched on the machine, and I was able to track straight to a set of keys lost in a few acres of orchard based on ground evidence). Beach losses are time-critical, please don't hesitate. If you can take a photo of the location it makes searching much easier as memory fades and distorts rapidly when stressed. Me (and my wife) are eternally grateful for your efforts. Especially as you found it the day before our 2nd wedding anniversary. I was worried that it would be a tricky mission for you, but you found it so quick. Highly recommend your services to anyone in need of a pro – ring finder! Happy to provide a reference if a future client needs one. Just give them my number. Looking forward to seeing future stories of you reuniting rings with their owners. He traveled from Kerikeri to Ruakaka to help me find my wedding ring that I lost while swimming. I had this ring made from my mothers jewellery after she passed away – a very sentimental and emotional part of my life that also represented my future with my beautiful wife and all of our 8 children a positive influence on making healthier lifestyle changes within whanau . My heart was broken and I was very upset to the point of being frustrated with myself for letting it happen. The realisation I may never see it again hurt me. That day I snorkeled from 1.30-5.00pm thinking of my mum then went home got x2 metal detectors my x3 sons and good friend Ismalia then from 19.00-midnight searched hard at night with torches detectors on beach and in tide with no luck . My wife got a message from Pete McGhee through media networking then late Saturday asked him to meet us there Sunday. He arrived at 9.15 and the area was marked out with me on the beach himself in the tide with my x3 sons. 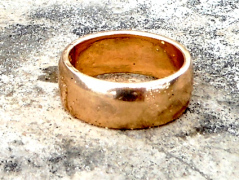 Then at 11.30am Pete found my wedding ring. I honestly couldn’t believe our luck I just wanted to break down with emotion and relief a massive weight of heaviness gone. I had been doing karakia every day, even that morning, but the difference was having a person like Pete who was committed driven passionate and very professional about the outcome of todays challenge. Thank you so much for your mahi today we are forever grateful enjoy our koha. Please if you ever lose your jewellery or other metal items and need help to recover them I strongly recommend this gentleman. He is humble honest and fair kia ora koutou nga mihi Pete McGhee!